Richard Sterne’s win in the Joburg Open left Shane Lowry in danger of missing the WGC-Accenture Match Play. 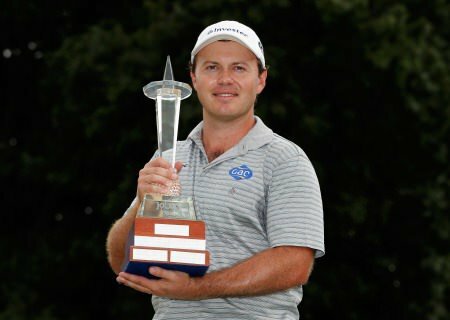 Picture ©Getty Images Richard Sterne bumped Shane Lowry out of the top 64 in the world with a record-breaking seven shot win in the Joburg Open. The South African’s second win in the event will move him from 94th to around 56th when the rankings are updated on Monday, earning him a place in the WGC-Accenture Match Play the week after next. Phil Mickelson’s withdrawal from the Tucson event means that Lowry will remain as one of the top 64 available players providing results do not go against him in the AT&T Pebble Beach National Pro-Am later today. As for Sterne, the 31-year old South African put his injury woes behind him by cruising effortlessly to a first European Tour title in just over four years and become the new leader of The Race to Dubai. 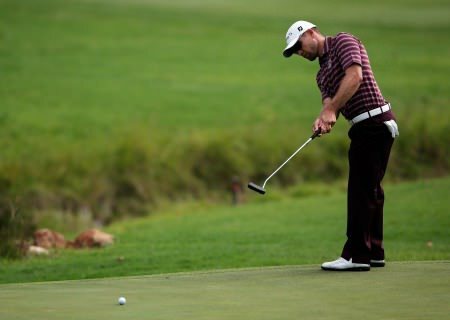 Sterne left the field trailing in his wake at Royal Johannesburg and Kensington Golf Club with a final round of 64, his 27 under par total of 260 not only securing a seven shot victory over Charl Schwartzel, the only other player to have won the Joburg Open twice, but also smashing the record books. His 72 hole total is the lowest in the history of the tournament and of the2013 season to date, and equals the second lowest of all time. Ranked 29th in the world following successive victories on home soil in December 2008, Sterne subsequently slipped out of the top 1000 after missing much of the 2010 and 2011 campaigns due to a form of arthritis in his back. However, if the prospect of returning to the winners’ circle daunted the 31 year old, who led at the halfway stage in last week’s Omega Dubai Desert Classic before finishing second to Stephen Gallacher, it did not show today as he surged clear with a quintet of birdies in an outward nine of 32 that gave him a five stroke cushion at the summit. Sterne was untroubled thereafter and picked up three further shots en route to victory. Schwartzel’s 66 left him one better off than Sir Henry Cotton Rookie of the Year Ricardo Santos, who matched the victor’s final round 64, Felipe Aguilar and George Coetzee. Keith Horne, Thomas Aiken and Fisher Junior can look back on good weeks after ending the tournament on 18 under, yet they were some distance behind the immaculate Sterne. “It was a pretty special day,” said Sterne upon receiving his trophy. “I played really good golf today and the whole week really. “It’s quite tough coming from a good week into another week; you kind of do expect to play well. But I got off to such a good start on the West Course (which he played in round one before switching to the East Course for the remainder of the week) and felt comfortable. Shane Lowry may yet get to debut in the WGC-Accenture Match Play. Photo Eoin Clarke/www.golffile.iePhil Mickelson could be about to do his bit for Ireland and help Shane Lowry clinch his debut in 64-man WGC-Accenture Match Play in Arizona later this month. 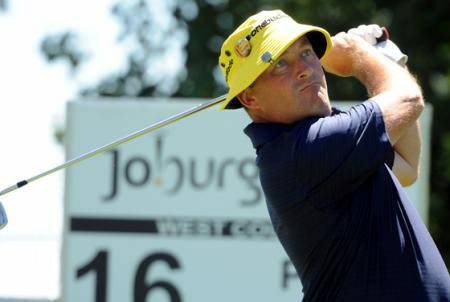 Damien McGrane opened with a five under 66 in the Joburg Open but Irish eyes are fixed on leader Richard Sterne. Catherine Kotze /www.golffile.ieRichard Sterne will push Shane Lowry out of the world’s top 64 and leave him relying on withdrawls to make the Accenture Match Play if he remains at the head of affairs and wins the Joburg Open on Sunday. Trevor Fisher Jnr. Picture by Getty ImagesShane Lowry can start checking flights to Tucson for the WGC-Accenture Match Play after Phil Mickelson confirmed he’ll be skipping the event and Danny Willett and Kristoffer Broberg missed the cut in the Joburg Open. Patrick Reed made an outrageous birdie at the 72nd hole to deny Fredrik Jacobson and put Shane Lowry in the WGC-Accenture Match Play field.Augusta is calling Shane Lowry. How else could you explain how a rookie from Augusta State birdied the legendary 18th at Pebble Beach from the rocks to put the Clara man into the WGC-Accenture Match Play by just two ten-thousandths of a world ranking point. G-Mac has major respect for Lowry: "He's got guts"
Graeme McDowell is a big admirer of Shane Lowry. 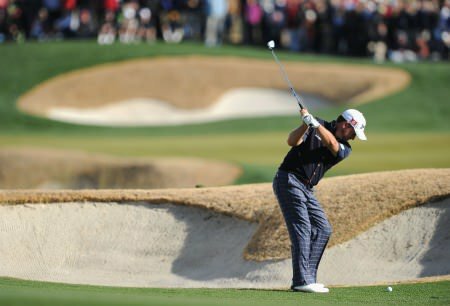 Picture by Getty ImagesGraeme McDowell knows he has his work cut out when he takes on friend and stablemate Shane Lowry in the last 16 of the WGC-Accenture Match Play today.